Your dedicated controller is your go-to-person at Trailhead Accounting Solutions. Your controller will lead your team of QuickBooks bookkeeping specialists, ensuring your day-to-day accounting activities are completed timely and accurately. 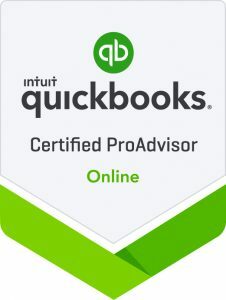 Pay one monthly fixed price and gain access to a Controller’s expertise and QuickBooks bookkeeping specialists. The bookkeepers are responsible for entering your financial transactions into QuickBooks. They will will pay your employees, invoice your customers, and pay your bills. Your controller will perform month-end closing procedures, prepare financial and management reports, help manage cash flow, and will use their financial expertise to look for trends and things that look out of place. Your controller will be available to schedule monthly financial meetings for you and your management team to discuss numbers, strategy, and future goals. Enjoy the expertise of a full accounting department without the hefty price tag and management headaches. Gain access to real-time usable and actionable reports allowing you to operate your business and manage cash flow. Relax knowing your bills are paid, payroll is handled, and your customers are invoiced. My business is growing! I need accurate & up-to-date financial information. I also want the ability to see what growth means financially and feel like things are under control.